le choix des fans: A Genius? What do toi think the analogy for this promo pic is? Would toi sleep with House?? "I like this view." House a dit as he sat a haut, retour au début the roof of Ariel's apartment building. She sat down in the chair beside him and handed him a beer. "It's chilly tonight... maybe we should have stayed for the 11:15 showing." She a dit as she leaned further back into her chair. "One of the best dives in Princeton." He a dit as he sat across from her and lay his cane against the table. "So, those test results toi were picking up..."
It was an couvert, ciel couvert morning when House awoke the suivant day. His pain was an eight on the pain scale, and his head was fighting to push it to a ten. Letting out a harsh exhalation, he propped himself up and began the daily drudgery. "You have two hours of clinic today House, and I don't want to hear any argument about." Cuddy a dit as she handed him the green chart for exam room 3. Once the waitress had moved out of the way, House could once again take in the mystery woman that sat across the room. He wondered if she was a professor at the université ou possibly a 'mature' student. "Hon, toi want anything else?" The waitress asked House once more. He kept his gaze on the mystery woman while answering. I'm talking of course about the lack of explanations donné for House's supposed attempt to kill Chase on the episode House Divided. My first reaction to that scene was "what the hell?!?!". It has never been hinted that House either likes ou dislikes Chase any different than any of the other ducklings (old ou new), so why on earth would he ever want him dead? I thought it was really lame at the momment, and since I couldn't find a good explanation for it I decided to ignore it and pretend it never happened. Didn´t hear anything from Wilson ou Cuddy ou somebody else. 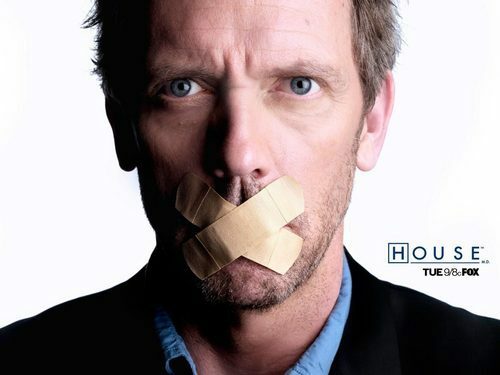 Which episode does House win the titre "Alpha Dog"